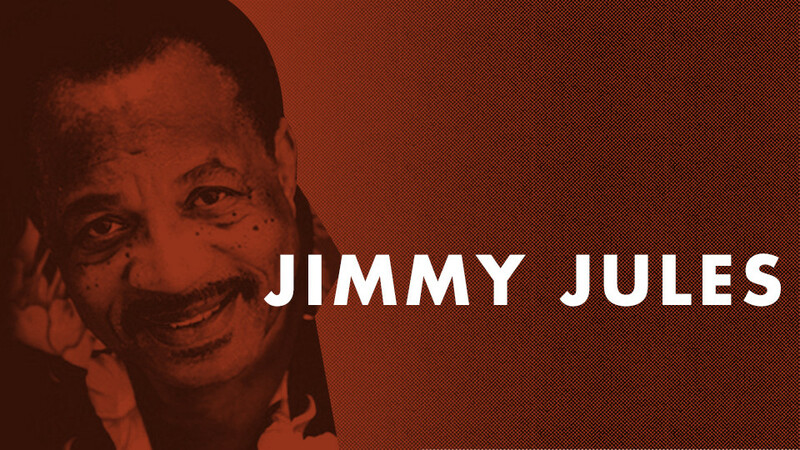 The New Orleans vocalist behind some stellar early 1960s R&B sessions produced by AFO jazzman Harold Battiste has been known as "Pistol" and "Jimmy Jules," but the Ernie K-Doe soundalike's real name is Charley Julien. His singles for Atlantic ("Talk About You" / "Take It Like It Comes") and Columbia Records ("Make Her Your Wife") helped fuel the era's "Popeye" dance craze and have become Northern Soul classics. As a sideman, Jules has backed up Marvin Gaye, Little Willie John, Otis Redding, and other greats. He's written songs for Johnny Taylor, Archie Bell and The Drells, Etta James, and The Three Degrees. And Christmas music doesn't get much funkier than the fatback soul of his Nuclear Sound System's 1977 single "Xmas Done Got Funky."